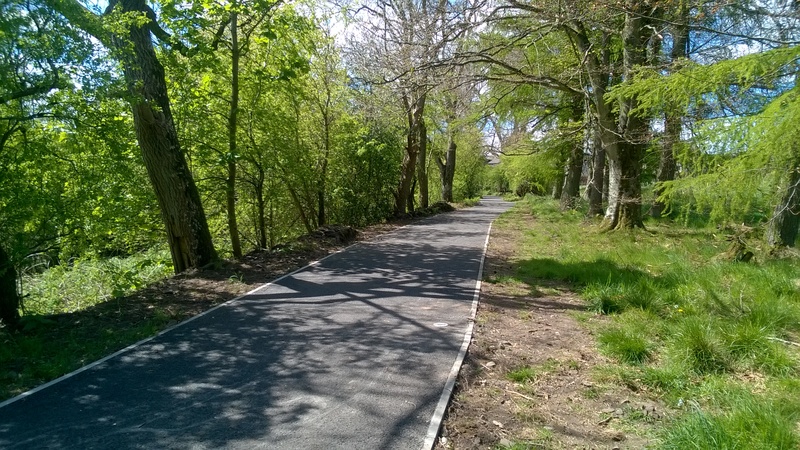 The Perth & Kinross Countryside Trust is delighted to be working with the Auchterarder Core Paths Working Group to upgrade some of the Core Paths in and around the town. It has been over three years of hard work getting the Johnny Mathew’s path and the first part of Provost Walk upgraded but I’m sure the community will agree it has been worth it. None of this would have been possible without grants from: Tactran, West Perthshire Recreational Fund and the Common Good Fund (Johnny Mathew’s) and for the Provost Walk path: Tactran, Sustrans, the Common Good Fund, LEADER & the Auchterarder Community Facilities Fund. As a small charity working to support community groups with their paths projects, it is obviously very disappointing to see the new infrastructure that has been installed being vandalised. We make every effort to ensure that everything we install is as robust and damage proof as possible and we are pleased that this incident hasn’t deterred the community from wanting to do more. Plans for the second phase of upgrading the Provost Walk are well underway and we look forward to being back in Auchterarder in the Autumn. The paths group has also received grant funding from the Auchterarder & District Community Trust and it is anticipated this will be used in those autumn projects.